With an MBA in business technology from the University of California, has served as a technology consultant with companies like IBM. RFID is a popular technology that has found an important home in the world of logistics and supply chain management. A well-known business case of RFID in the market is the supply chain of retail giant Walmart, who use RFID extensively to provide automated tracking and management of inventory and shipping. But RFID has many other applications, and individual consumers and hobbyists are finding new and interesting ways to make this technology useful in everyday life. Arduino, the popular microcontroller technology is making this even easier, by providing a robust and accessible platform on which many RFID projects can be built. 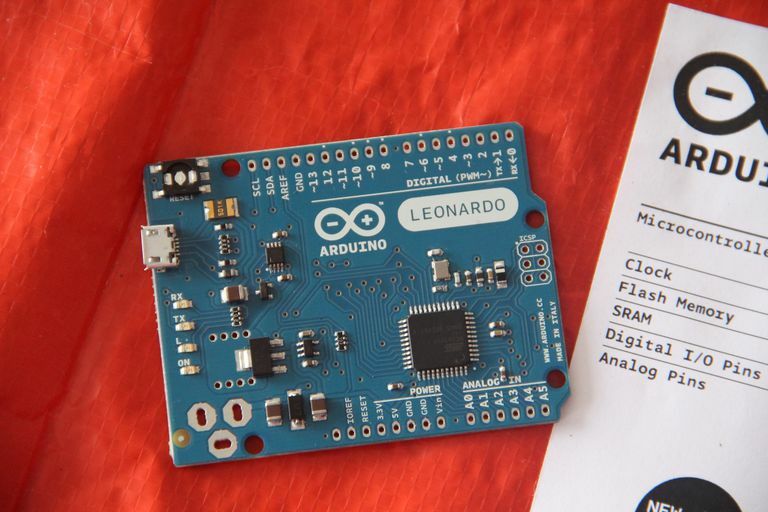 Arduino has extensive support for RFID, and a number of different options exist for interfacing the two technologies. Here are some ideas for getting started on an RFID project of your own, from interface options to example applications that may serve as some inspiration. This RFID shield is made by the popular electronics supplier Adafruit Industries and is a great option for interfacing RFID technology with Arduino. The PN532 unit provides extensive support for RFID in a shield that fits easily on top of the Arduino platform with minimal work. The shield supports both RFID and its close cousin NFC, which is essentially an extension of RFID technology. The shield supports both read and write operations on RFID tags. The shield also boasts a maximum range of 10cm, the most distance supported by the 13.56 MHz RFID band. Once again Adafruit has created an excellent product; a definitive shield for RFID projects on Arduino. The RFID door lock project uses Arduino with an ID-20 RFID reader to create an RFID equipped door lock for a front door or garage. The Arduino receives data from the tag reader and fires an LED and a relay controlling the lock when the authorized tag is used. This is a relatively simple Arduino project that is well suited for a beginner, and can be genuinely useful in allowing you to open a door while your hands are full. The system requires an electric door lock that can be controlled by the Arduino. The Doh Key Reminder project appears to be now defunct but demonstrates a potential use for Arduino with RFID to provide a useful tool. For anyone that's ever left the house without their keys, the Doh project used RFID tags which were affixed to the important items. The Arduino module sits aboard a doorknob hanger that would sense someone touching the door, and flash an LED that was color-coded to any tagged item that was missing. This project appeared to be an early stage commercial venture, and it's unclear whether it will eventually go to market, but it doesn't mean the idea can't be resurrected in the form of a home-made equivalent. The Babelfish Language Toy is a fun project created by the people at previously mentioned Adafruit Industries. The Babelfish language toy uses RFID flashcards which aid in learning foreign languages by reading aloud an English translation when fed into the Babelfish toy. The project uses the Adafruit RFID/NFC shield mentioned above along with an SD card reader upon which the sounds are loaded to correspond to the flashcards. The project also uses the Arduino wave shield, also sold by Adafruit to provide a quality audio source and reading off the SD card. While this project may just be a toy, it shows that RFID can be used for much more than simply access control, and only provides a small glimpse as to the potential of both RFID and Arduino as tools in the education sector. Which Microcontroller Platform Will Come Out on Top? What is Arduino and Should I Use It?